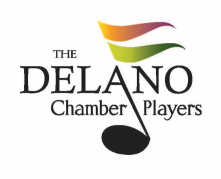 The Delano Jazz Orchestra 2018-19 season has all you want in great swing and Big Band Jazz music. Our concerts will feature music from all the Big Band greats. The music will range from Stan Kenton's Star Spangled Banner to Count Basie's Sweet Georgia Brown and a whole lot more. The Jazz Orchestra is quickly gaining recognition and was chosen to perform at last years Kansas Bandmasters Convention. If you like Big Band Jazz (and who doesn't) join us this season.